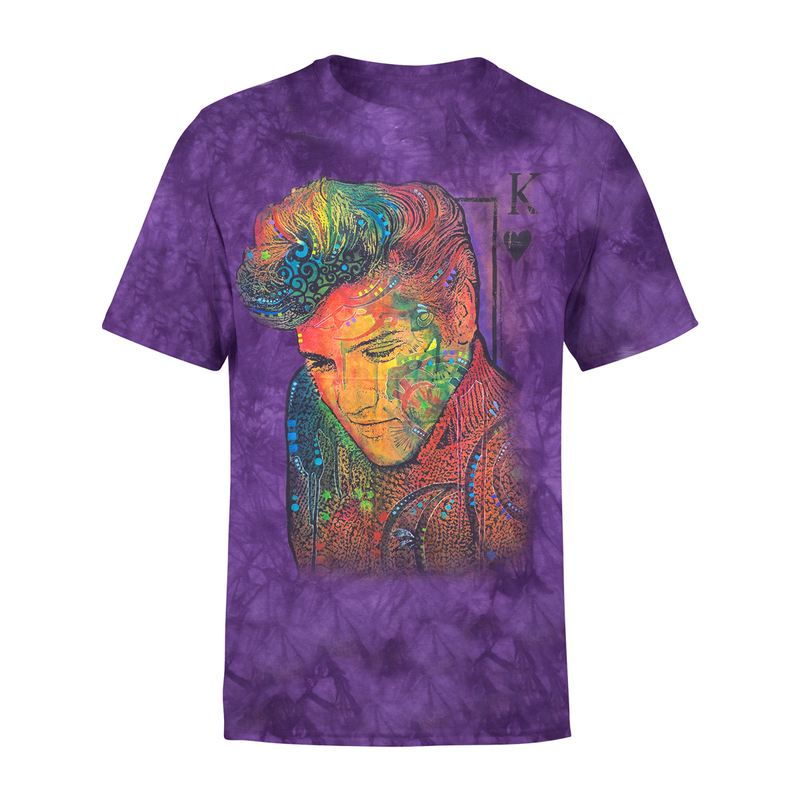 Purple T-shirt featuring Elvis painted on a king of hearts playing card. 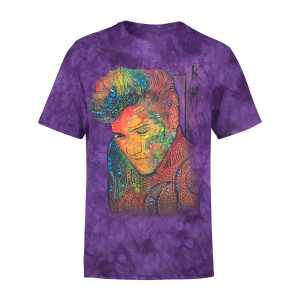 Simply loved these elvis shirts! Bought for daughters birthday, she loves anything elvis! Sure she's gonna love these too!